Today, along with Jesus, we begin a journey, we begin a walk, we begin a pilgrimage forward. We begin an expedition toward new creation – For ourselves, and for our community. And so as we travel – we pray. We pray for guidance. We pray for eyes that see more clearly the world around us and the things of this world that need healing. We pray for ears that hear and understand the cries of pain and despair of others. We pray for hearts that are open to receive one another and to reach out to one another with the same unconditional love that our fellow traveler, the Christ, has so beautifully modeled for us. And so as we travel, we seek to learn. To be teachable. We journey forward in a community of spirit that leads us to where it is we are most needed. Most assuredly our journey will take us off the sure, and the steady road and lead us into places that may seem foreign and unknown to us. But as we follow the Christ we know we are forever led to just where it is we are needed to be at any given moment, to bring a light of renewed hope and possibility – to all God’s people for a brighter future. As we share our light with others we know they too share their light with us – and for this shared experience we are all stronger. And so as we travel, we draw strength and courage through our shared community of peace. We travel a terrain that is at times very familiar and it is one that we know well. We know each road, each scenic overlook, each hill and each valley and the journey is easy. But off in the distance we see those who are sick – and those who are hurting – and those who are refugees needing a sense of belonging – and so we take the perhaps unfamiliar path that we might minister to them with love and with justice and with a presence of hope, caring and grace. And so as we travel, we humbly serve. Whatever burdens we ourselves may be carrying we release and turn over to God, knowing that in doing so we receive forgiveness for our shortcomings and renewed strength that we might continue with courage and resolve. And so as we travel, we trust and we remain faithful. We pray – not for tasks for which we are already capable, we pray not for tasks that meet our current abilities – but we pray that in seeing and rising to meet a need we will be given all we require, as we require it – to make a difference in our fragmented world. We say “send me God” to that place you have already prepared – that together we might bring a spirit of reconciliation and justice – and kindness and affirmation – that all people will recognize the dignity and worth of each and everyone as your beautiful creation. And so as we travel, we reconcile. No longer do we classify by Jew, or Gentile, no longer is there “us” and “them,” no longer is there black and white or gay and straight, for in God we affirm all are anointed as precious. Together we break down the walls of division and together we build bridges to understanding as we walk arm in arm in unity. Together we are stronger and together we bring a brighter light of justice into our world. And so as we travel, we worship. We proclaim and we rejoice that our journey is blessed – and the song on our hearts – shouts continually of the glory of God. To walk toward Jerusalem with Jesus, to walk into Easter with a resurrection spirit that overcomes death and proclaims new life. And so it is that we pray, so it is that we journey forward – and so it is that we begin today – in faith – to be changed. The Season, launched at the United Nations in 1998, marks the annual 64 calendar days between the memorial anniversary of the assassination of Mohandas K. Gandhi on January 30 and that of the Rev. Dr. Martin Luther King, Jr. on April 4. 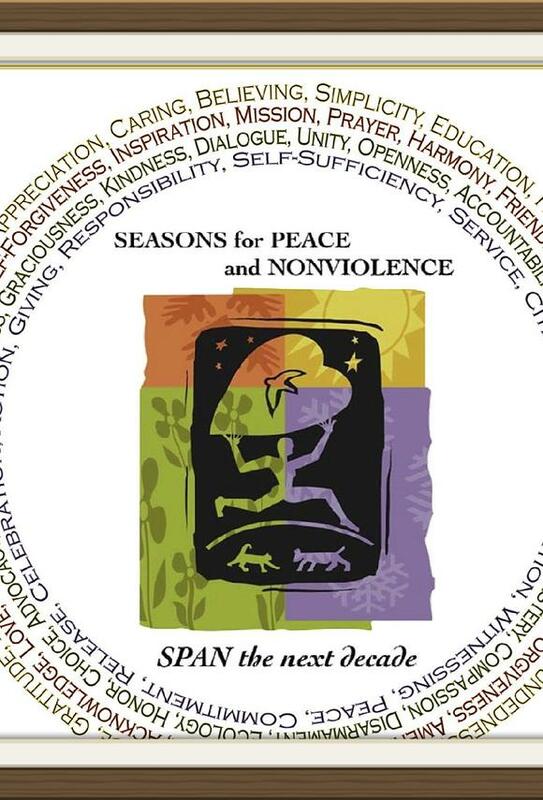 The Season teaches that every person can move the world forward in the direction of peace through daily nonviolent choices, words and actions. Nonviolence challenges us to stand for Truth by taking action that honors the dignity and worth of every human being. Dr. Martin Luther King, Jr. said, “Everybody can be great…because anybody can serve. You only need a heart full of grace and a soul generated by love.” Sign up to volunteer a minimum of two hours this month with an organization of your choice. Robert Muller, former assistant secretary general to the UN, urges, “use every letter you write, every conversation you have, every meeting you attend, to express your most important beliefs and dreams.” Today call or write one of your legislators and register your views. Alcohol and drug abuse is both a consequence and a cause of violence. Today have the courage to intervene in a caring way. Through your honest and straightforward communication, encourage yourself and others to get educated, get help, and get sober and free from drugs. “We are each other’s bond,” writes poet Gwendolyn Brooks. Those who practice nonviolence cannot close their eyes to injustice or cruelty. We are here to be a witness for justice and compassion. Today, be willing to stand up for Truth by your presence, your words and actions. Thich Nhat Hanh wrote, “Practice watering seeds of joy and peace and not just seeds of anger and violence, and the elements of war in all of us will be transformed.” Today, make a choice to meet each experience with an intention for peace. Spend five minutes reflecting on your commitment to non- violence. Write down what it means to you and what you are willing to do as a consequence of your commitment to it. Make your commitment public by sharing it with at least 2 people. A Sufi proverb says, “When the heart weeps for what it has lost, the spirit laughs for what it has found.” Today look at how far you have come during this 64 day journey. Release the weight of your past, judgments of yourself and others, and the idea that world peace is not possible by acknowledging that you do make a difference. Today, rejoice in the work that you have done. Celebrate the journey that you have made with countless others who believe that every individual can move the world in the direction of peace with their nonviolent choice and action. “Never doubt that a small group of thoughtful, committed citizens can change the world. Indeed, it is the only thing that ever has.” -Margaret Mead. Be aware today of any jokes or remarks that show disrespect toward ethnic groups, women or men, classes of people, religious groups, gays or lesbians. Be considerate of every person’s dignity and choose not to participate in disrespectful conversation. “When someone stands up to nonviolence,” says Thich Nhat Hanh, “a force for change is released. Every action for peace requires someone to exhibit the courage to challenge violence and inspire love.” Today be an ally. Without blaming or judging others, speak out for those who are disrespected. Have you ever noticed the groups of people who are under represented in your activities and lifestyle? Find one way to connect with a person from these groups today. “Each of us can work to change a small portion of events and in the total of all those acts will be written the history of this generation,” said Robert Kennedy. Today, find a way to make one, small change that will contribute to the well-being of your home, school, workplace or community. Practice generosity by sharing time, energy, and material resources with those in need. Clean out your closet, bureau drawers, or garage. Are there things you aren’t using that might be of value to someone else? Today, give away what you are no longer using. The quality of your community starts with you. Take responsibility for the quality of your community wherever you are. Today, pick up trash that is not your own, whether at home, at the office or on the street. Every little bit helps. People need the dignity of work and the opportunity to provide for themselves and their families. Economic self-sufficiency is a requirement for a nonviolent world. Today, create a job for someone or help someone to find employment (for example, help them with a resume or application, help them make phone calls, dress appropriately, or practice interviewing). Relationships based on nonviolence are built on the ability to see and understand another human being, whether or not we agree. Seeing people from our common ground gives us practice for bringing nonviolent actions, choices and behaviors into our communal life. Dale Carnegie says that the greatest need people have is for love and approval. Praise, compliment, and honor the uniqueness of at least five people today. Notice the positive impact you make by valuing the individuality of each one. When we work together, we are stronger that when we work alone. Today, find one significant way your can cooperate more effectively with the people in your family or workplace, school or community. Do it. Labor organizer Cesar Chavez teaches, “If you use violence, you have to sell part of yourself for that violence. Then you are no longer a master of your own struggle.” Breathe deeply, silently counting backwards from ten to calm yourself and cool off before your speak or act with impatience or anger. Do this at least once today. Mother Theresa implored us to “find someone who thinks he is alone and let him know that he is not.” Today, do as Mother Theresa suggests. Have a conversation with someone today about what the world would be like if there were no weapons nor any need for them. Imagine such a world. Value the earth by conserving natural resources and avoiding the purchase of products that deplete the rain forests or exploit labor forces. Practice recycling today by using at least one recycled product or by recycling something. Albert Einstein said, “There are only two ways to live your life. One is as though nothing is a miracle. The other is as if everything is.” Before each meal today, stop and honor all the hands that brought it to you and to bless the earth for its bounty. To require others to change for us to be more peaceful does violence to us both. 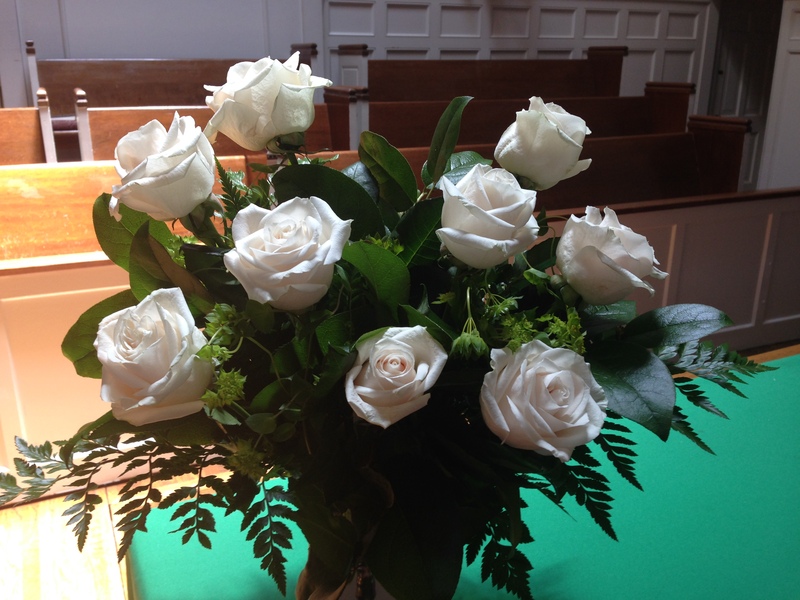 By choosing to be peaceful in relationship, we invite others to nonviolence in return. If we just act in each moment, with composure and mindfulness, each minute of our life is a work of art. Be aware of the motivation behind your action, the intention behind your words, and the needs and experiences of other people. By doing so, you are making life beautiful for others. When you are out driving today, slow down, and let the other person in front of you. Stop and let pedestrians cross the street. Everyday we hear of random and senseless acts of violence. Participate in the counter-revolution of kindness started by Anne Herbert. Perform three random acts of kindness and senseless acts of beauty. Marianne Williamson describes a healthy society as one in which “those who disagree can do so with honor and respect for other people’s opinions, and an appreciation for our shared humanity.” In the Desiderata by Max Ehrmann, he says, “Speak your truth quietly and clearly, and listen to others.” Today, speak up but do not enter into the spirit of argument. Differences give variety to life and are often only on the surface anyway. Today, look for three ways to see beyond outer differences in opinions, appearances, or goals. Find the meeting point of underlying unity that exists in diversity. A Turkish proverb says, “He who builds himself a fence, fences out more than he fences in.” Today, be open to understanding ideas and people that you have previously opposed. In conflicting situations, personal accountability allows us to take responsibility for how we contribute to the conflict. Today, take responsibility for how you contribute to a conflict and make a different choice that can lead to a peaceful resolution. In order to create a peaceful world, we must learn to practice nonviolence with one another in our day-to-day interactions. When we forgive, we are free to let go of the past and move on with our lives. We do not condone the hurtful behavior but we realize that there is something within us that is more powerful and important than this wounding experience. Today, write a letter to forgive someone. You do not have to mail it. Appreciation helps people to grow and lets them know that they matter. Offer praise to at least three people today for their personal qualities, achievements, or helpful service. According to Cesar Chavez, “Nonviolence is not inaction…It is hard work…It is the patience to win.” When your plans seem delayed, choose to be patient by identifying at least three ways that you can constructively use this time to support your goal. Tell someone today what a difference he or she has made in your life. Acknowledge that person for being there for you. Make this a day when you don’t take people for granted. Gandhi wrote, “Nonviolence is based on the assumption that human nature…. unfailingly responds to the advances of love.” Today, focus on what you appreciate most about the person you like the least. Thich Nhat Hanh says, “When you understand, you cannot help but love…Practice looking at all living beings with the eyes of compassion.” Send a silent thought of love to ten people today. Share your experience with someone. “The nonviolent approach does not immediately change the heart of the oppressor. It first does something to the hearts and souls of those committed to it. It gives them new self-respect; it calls up resources of strength and courage they did not know they had.” — Dr. Martin Luther King, Jr.
“My life is my message.” says Gandhi. Write down what you want to stand for in your life. Note at least one way you can show through action that you stand for your beliefs. Take this action today. “Prayer from the heart can achieve what nothing else in the world can.” said Gandhi. Begin and end the day with a prayer for peace. Let peace begin with you. Choosing not to engage in any form of gossip today contributes to harmony and peace in relationships. Today, choose to see the good in others rather than finding fault. To humorist Will Rogers, strangers were simply friends he hadn’t met. View those you encounter today in that light. Make a new acquaintance. Mother Theresa said, “There is a hidden poverty more pervasive than lack of money. It is the poverty of the heart.” Find three ways to generously give of your time, attention and resources to others. Today, stop what you are doing and take five minutes to listen to the feelings behind someone’s words to you. Be fully present for the conversation and interested in what the person is saying.